Looking for an easy way to add Automatic Block Signaling (ABS) to your layout? 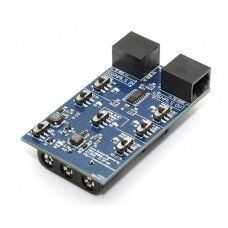 Involved in Free-Mo or another modular group and want to add signals to your module? The Modular Signal System (MSS) is the answer. Defined as a plug-and-play signal system, MSS allows you to add realistic signaling with no programming required! Our cost-effective MSS modules come complete with everything you need: block detectors (DCC and optical), pre-programmed control logic, LED signal drivers, and a rugged and reliable MSS bus interface. As a debugger for the Modular Signal System, the MSS-DEBUG monitors signals on the occupancy bus as ..